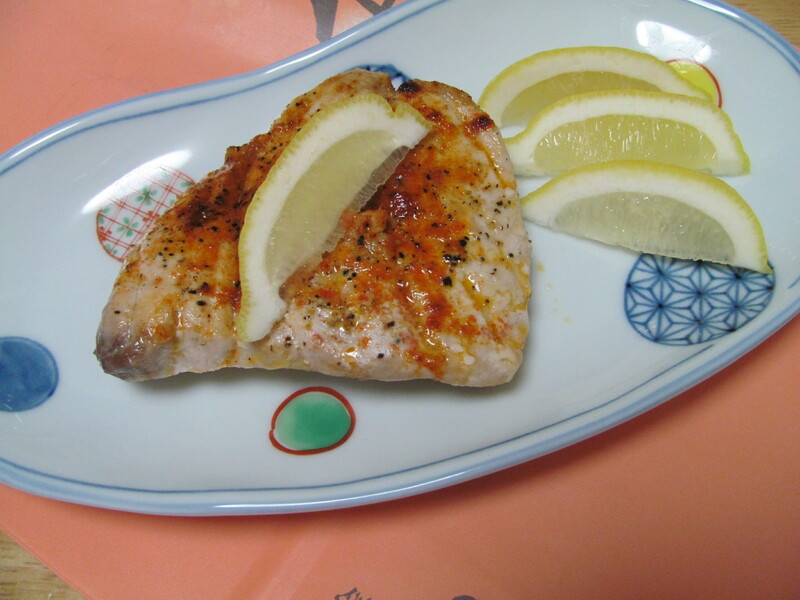 Broiled Sawara with Paprika – I'll Make It Myself! This was probably the only time I’ve had a whole kilo of fish at one time. I don’t know how to gut a fish (it’s on the to-do-in-2012 list, promise), so my choices are more limited than chefs braver than I am. Still, since moving to Kanazawa, I’ve found my supermarkets carry a great selection of filets caught locally, so I’ve finally really learned how to cook fish. Cooking fish without breading and frying might seem fancy if you didn’t grow up near the ocean (:raises hand:), but I assure you, it’s extremely easy and quick, and you can dress it up with five ingredients you have in your kitchen. 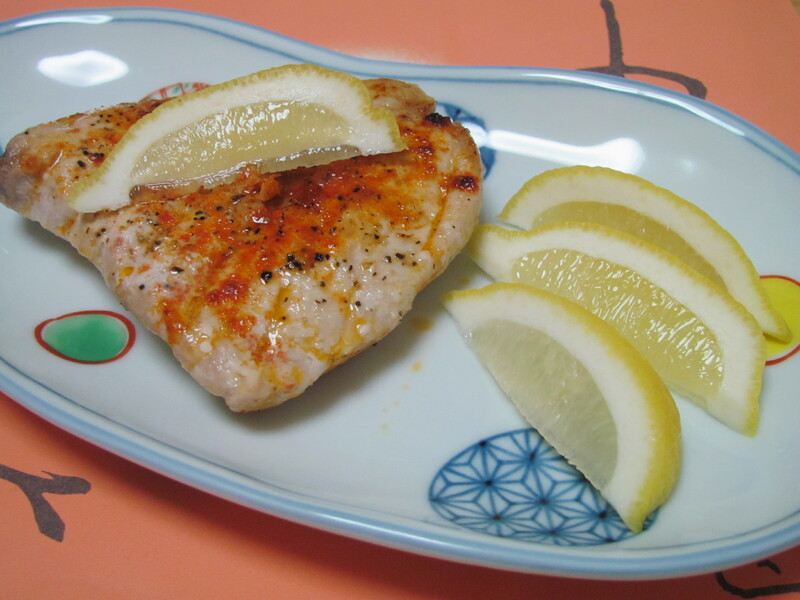 The flavor combination of paprika, olive oil, and lemon is not Japanese, but it goes well in a cold bento. The olive oil and lemon will help keep the fish tender and flaky–no tough fish here. Slice the lemons as thinly as possible–thinner than this! A word about sashimi-grade fish: it’s a thicker, nicer cut and has no bones, as it’s meant to be consumed raw and immediately. We made hand-rolled sushi the first night (no recipe yet because I am terrible at it); half the leftover raw fish went to the freezer and the other half was cooked the next day. You can make this recipe with regular filets or gut and filet your own fish, just be sure to weigh your filets if you are making a smaller portion, adjusting the amount of ingredients appropriately, and to adjust the cooking time based on the thickness of the cut. Finally, if you don’t have a fish-griller, which comes standard with Japanese gas ranges, you can broil it in an oven instead. 1. 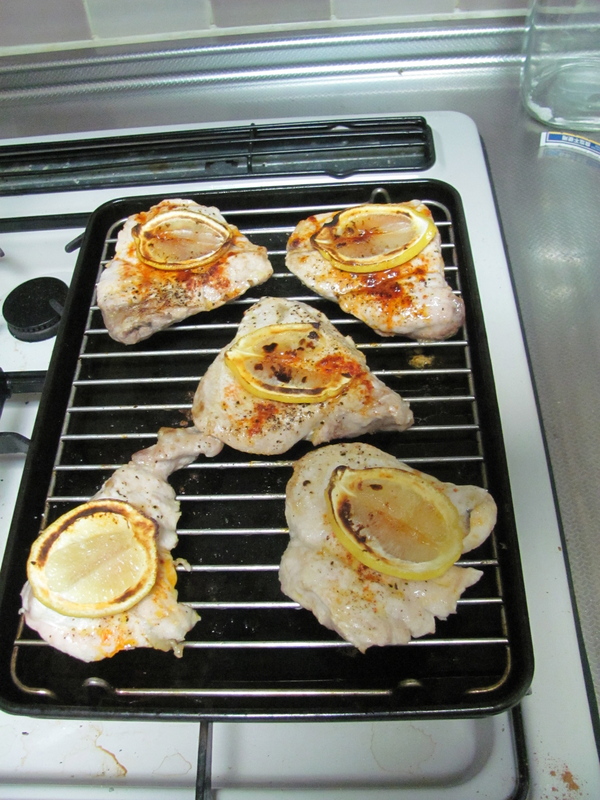 Remove the grill from the range/oven; begin heating the broiler/fish grill. 2. Rinse the filets and pat dry with a paper towel. 3. Pour the olive oil onto a plate or into a bowl, add salt and pepper to taste. Dip each side of the filets in the olive oil and set on the grill. 4. Sprinkle the top side of the filets with paprika. 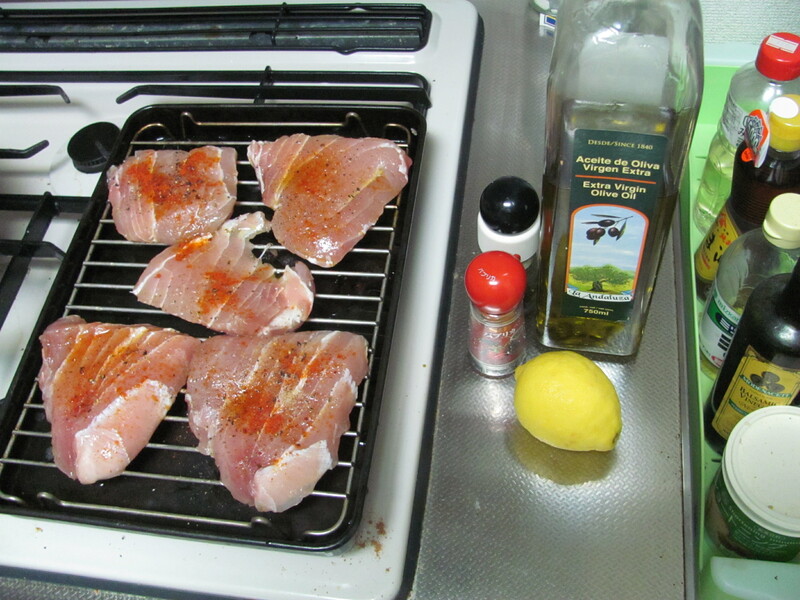 Thinly slice the lemon and set a slice on top of each filet. 5. Cook for 1-2 minutes (depending on thickness), then remove lemon and set aside; flip filets. Sprinkle with paprika and place lemons on top. 6. Cook for another 2-3 minutes or until the fish is cooked through and flakes apart in the center when tested with a fork. If the lemon is preventing the fish from cooking through, remove lemon and cook for another minute. 7. Remove filets to plate. Garnish with additional lemon juice. *These are probably normal 3-oz filets and easily found in the US, but non-sashimi-grade filet-cuts tend to be quite small here. 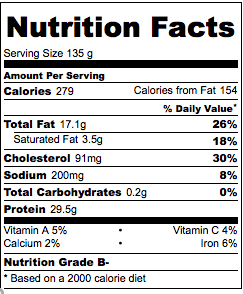 **Nutritional information for a 135 g (1/4 of recipe) serving.